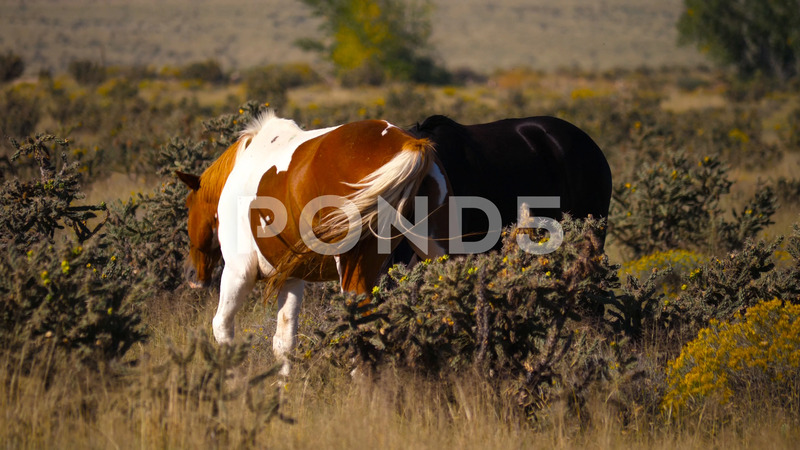 Description: 4K, Mustang horses grazing in a Colorado Spring meadow. A bird is perched on the back of a white and brown horse. One of the horses moves its skin to scare the flies.